Australia’s purpose-built toilet for mining sites. 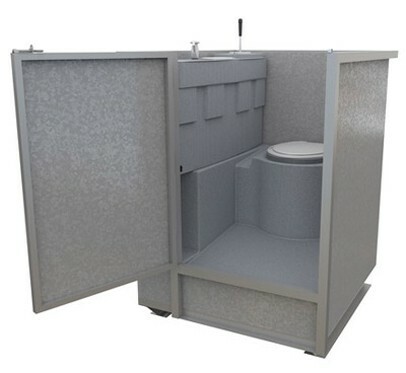 Designed and manufactured specifically for underground mining applications, every aspect of the Mine Toilet’s construction adheres to strict OH&S regulations. Right down to the steel rivets. With polyethylene heavy-duty plastic waste and freshwater tanks, and a galavanised steel exterior, it contains absolutely no aluminium – so it physically cannot cause sparks. • Seal freshwater flushing system.